One in every three people over the age of 65 suffers from some form of hearing loss, according to Hearing Loss Association of America. Is it possible that they could have taken steps early in life to protect their hearing? Age-related hearing loss is really the break down of the tiny hair cells in the ears that vibrate as sound hits them. Noise plays a big part in that process, though. Doing little things early in life can protect those delicate cells, reducing your overall risk of hearing loss as you age. There is no guarantee that you won't be that one in three who suffers some hearing loss, but the odds are better if you take precautions now. Consider three basic steps you can take to lower your risk of hearing loss. First, do a proper home evaluation to figure out what things you do there that put you at risk by exposing your ears to loud noises. Maybe, it's your habit to turn the TV volume up? What about music? Do you prefer to use headphones or ear buds when listening to your favorite tunes? When considering the strategies to save your hearing, start with losing the headphones and ear buds. Sound travels in waves. These devices simply introduce those waves of sound directly into the ear canal, which makes them louder, of course, but they do damage in the process. Think of it like shooting a gun from point blank range instead of from 100 feet away. When you put headphones on, you introduce sound waves that are way stronger than they should be and that harms those intricate elements of your ears that allow you to hear. Think about what else you do at home that might be problematic. Do you love to woodwork, for example, or maybe do some other craft that introduces loud tools into your life? the things like mowing the lawn will take a toll, as well. None of this means you have to stop enjoying these things, just take some precautions. Next time, put on ear safety gear like noise dampening ear muffs for better ear health. Exercise isn't just good for your heart – it's good for your ears, as well. Regular workouts are your best defense against chronic illnesses that can affect your hearing later in life such as heart disease or high cholesterol. It doesn't really matter what kind of exercise you choose, so go out and have some fun shooting hoops or going for a swim. Just make sure to meet the recommended standards offered by the Centers for Disease Control and Prevention. For adults, that means about 150 minutes a week of moderate to intense aerobic activity along with strength training at least two days a week. Like most things, the earlier you catch problems that might affect your ears, the better. That means seeing your doctor regularly and going to an ear specialist if necessary. For most people, it will also mean the occasional professional hearing test. Get the first one as early in life as possible. This can serve as a baseline as you grow older. 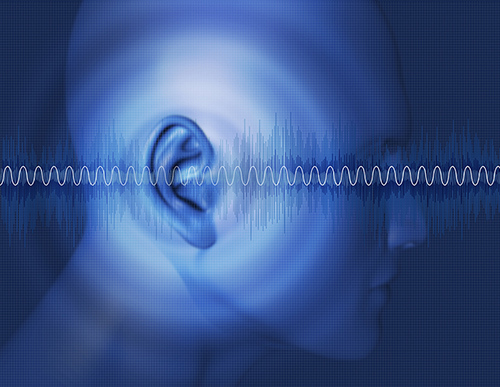 When you get additional tests every few years, you will start to see how your hearing is changing. If you notice a drop, medical intervention might be able to slow or even stop the hearing loss progression. Going to the doctor at least once a year for an ear check up with also help you manage your ear health. The doctor can remove earwax blocking the canal for you safely, for example. Certain kinds of medications can damage your hearing and that's something a doctor would pick up on during your visit, too. There is no full proof way to ensure you don't have hearing loss later in life, but a little forward-thinking will certainly improve your odds of enjoying your golden years with the best hearing possible.